By default, layers are composited onto each other directly. This means that opaque pixels in front-most layers hide pixels in layers further back, and semi-transparent pixels on front-most layers are blended with pixels further back proportionally to their alpha ratio. This does the job for solid objects. However, some types of layers and effects may look better when composited into the scene using more advanced approaches. 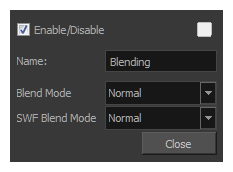 The Blending node can be used to composite an element, effect or composite using one of many different algorithms that may make it look much better in the final render. 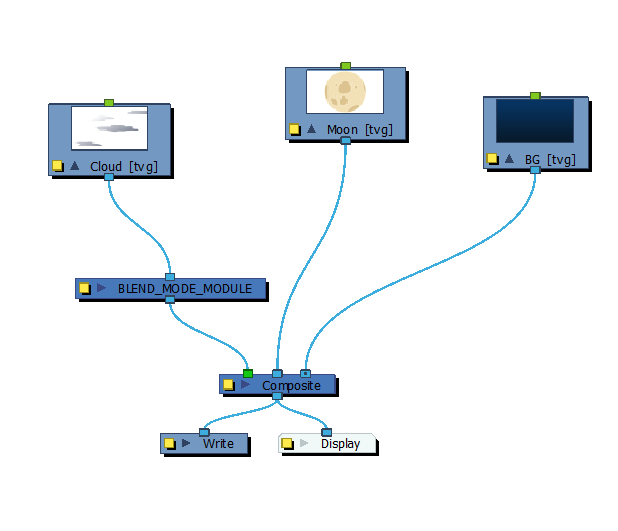 A Blending node can be connected under a layer, an effect or a composite to affect the way it will be composited into the scene.